The global challenge of waste is irrefutable – it is visible, urgent and common to us all. Product-to-landfill life cycles make explicit how the global north and south are relational. Multinational corporations manufacture in regional hubs, for global markets, and transnational waste exports are offshored as recycled waste. Plastic debris floats from shore to shore. On April 14th 2017, an avoidable tragedy – a man-made disaster – took place, as a mountain of garbage collapsed in North Colombo, Sri Lanka. Over a hundred homes were buried in the debris, displacing over 600 families, and killing 31 persons living at the edge of Meethotamulla land fill. The abandoned paddy field had been receiving tonnes of municipal garbage every day for over 20 years – growing to the height of a six-storey building, with a footprint of almost 20 acres. Reports list several causes for the collapse: (1) The incremental unsettling of the mountain of waste caused by rains; (2) Decomposition releasing methane and toxic gases which combusted into fire; and (3) A lateral landslide triggered when the lowest layer of the wetland soil couldn’t take the weight of the waste any longer. While emergency services were brought in and the dumping of waste has been stalled – a mountain of waste is still visible at the landfill today. 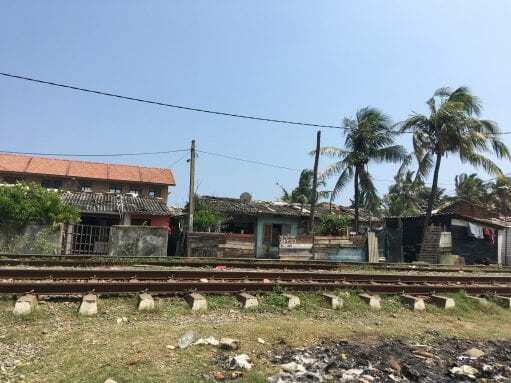 More concerning still, several similar land fill sites that exist in Colombo remain fully operational – a shocking sight, yet unsurprising, given the global crisis of waste. 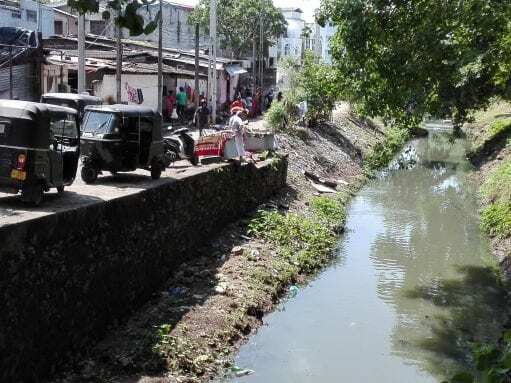 Often, communities living in marginal lands are caught within this crisis Sri Lanka, informal settlements often emerge alongside wetlands, canals and beach fronts. Engaging with these communities, as a part of efforts to improve waste management initiatives is therefore crucial. In October 2017, Sevanatha Urban Resource Centre started a community-led Municipal Waste Recycling Programme (MWRP) in Dehiwala and Mount Lavinia – a municipality adjacent to Colombo. MWRP is a transnational initiative designed to reduce plastic pollution of the oceans. Funded by USAID, the programme is active in the Philippines, Sri Lanka and Vietnam. As an NGO positioned as an intermediary between the state and communities, Sevanatha’s aim for the programme is to facilitate building a responsive society in partnership with the local municipality to address the challenge of waste. It aims to raise awareness around waste separation, for recycling and reuse, and to build partnerships between the government, private sector and civil society. The project focuses on a few key approaches in parallel – research and analysis, conducting awareness raising programmes in communities and schools, enabling a network of waste collectors and recycling businesses, and prevention of waste disposal into canals and beach fronts. Unifying these approaches, and inspired by successful iterations in Thailand and Indonesia, Sevanatha aims to establish community waste banks to promote a shift towards a circular economy. Across the municipality, Sevanatha has identified priority informal settlements in environmentally sensitive areas to work with – these are typically positioned along stretches of canals, wetlands, and the coastal belt. Auburn Side, a coastal settlement, and a part of the MWRP area, is one such example. Auburn Side is split into two ‘sides’ by a coastal railway line that runs parallel along Sri Lanka’s South Western Coast. These are the ‘formal’ and the ‘informal’, separated as the ‘beach side’ and ‘land side’. 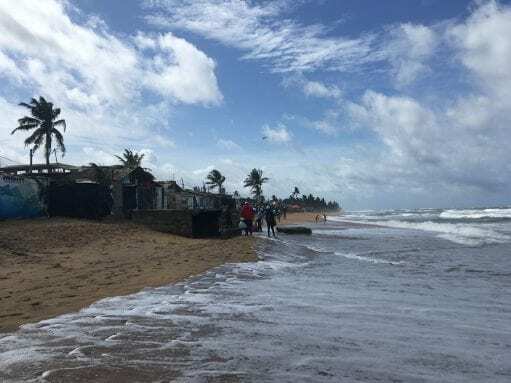 While several residents of the ‘beach side’ qualify for state-built apartments in another part the city, they choose to live along the coast to continue their daily livelihood as a part of generational fishing communities. The informal categorisation of the settlement however affects the level of municipal services that the ‘beach side’ receives. While the municipality waste collection trucks serve the ‘land side’, they do not cross the railway line onto the ‘beach side’. Further, a storm water drain from the city regularly discharges plastic waste from the formal city into the informal settlement, before it spills out further into the ocean. Given that waste as an issue bridges the formal and the informal – through urban lifestyles, production, consumption and disposal patterns – How can waste management projects that engage with informality, such as Sevanatha’s MWRP, leverage waste as an entry point for ‘scaling up’? I use the term ‘scaling up’ in the context of the search for scale within housing policy, through programmes that strategically engage with informality with ‘multi-dimensional, multisectoral and multi-scalar’ ambitions. This is especially relevant to Sri Lanka, where decades of policy and programmes such as the Million Houses programme that engaged with in-situ upgrading, have been steadily replaced by programmes that liberate land ‘occupied’ by informal settlements through ‘involuntary relocations’. An approach that uses waste as an entry point for scaling up would involve building on existing informal initiatives, making them visible and connecting them to larger institutional systems. At Auburn Side, Sevanatha’s project team is familiar with a few supportive community members who are conscious of how closely their lives are dependent on the ocean. An elderly fisherman is an inspiration – recovering almost 25 plastic bottles from the ocean every day. His home – a living museum of our ‘legacy’ of waste – is decorated with his craft of upcycling these bottles as ornamental lampshades. Similarly, a resident who grew up in the settlement is a newly elected member of the municipality and wishes to set up a waste collection centre. Can projects build on the actions and aspirations of such individuals within the community, to facilitate constructive institutional engagement? Sevanatha’s strategy of incentivising separation of waste through establishing waste banks in partnership with the municipality, and operated by the community, is one opportunity to do so. In order to pilot and iteratively develop the waste bank, Sevanatha’s team has, through trial and error, organised to focus on three settlements in the municipality – Badowita, Rathmalana, and Auburn Side. This organisation provides the project team to iteratively learn from experiences in these three settlements, and to consciously inform approaches in the other. In Badowita, a waste collection centre owned by the municipality is operated by two women from the informal settlement along the polluted canal. While they collect waste from a formal settlement in the municipal area, they have also started to receive waste from their own community – for example, an enterprising woman in the informal settlement has started receiving waste from neighbours at her house, to deposit it at the waste collection centre. Similarly, post a beach cleaning programme in the informal settlement at Rathmalana, a few individual residents started collecting recyclable waste to send to the Badowita Waste Collection Centre, facilitated by Sevanatha. Sevanatha’s project team further hopes to use the experiences in Badowita and Rathmalana, to learn from and to further develop a suitable model of a waste bank at Auburn Side. The iterative learnings and organisation of the project could further create opportunities for scaling up, when translated into facilitating networks between local champions from these three settlements, as well as municipal stakeholders – to create a network and platform to share cross learnings, that continues in the long term. Further, how may stakeholders extend such networks of sharing, and platforms of cross learning, in other settlements, once fixed project periods finish? First – to read between the lines of assumptions and regulations. Much of the assumptions linked to illegality and drug use have proven to be a convenient narrative to disengage with informality and small-scale waste collectors. These assumptions have become stereotypes that make it easier to marginalise low-income settlements and their rights, to the extent that the current low income urban housing programmes in Sri Lanka have shifted towards involuntary relocation. Scaling up involves rethinking municipal regulations on land use, while also actively reaching out to minority or vulnerable communities that may be engaged in the informal trade of waste. Secondly, while project interventions may push for coproduction, there do exist parallel economies of waste. For example, in North Colombo, an agglomeration of settlements exists in Wattala, within an informal economy of land reclamation. In a low-lying area prone to flooding, residents and informal landlords purchase construction waste to increase the level of the land before (and even annually, after) construction, while several houses are visibly sinking due to the settlement of the soil. Understanding and analysing these parallel economies of ‘informal’ land reclamation and markets is relevant – as they potentially compete with processes of coproduction that projects such as MWRP may wish to support, while trapping communities in cyclical poverty – often so, with the influence of individuals with access to institutional power. Finally, how may interventions build a discourse that moves beyond assumptions or existing formal-informal collaborations of clientelism, to instead recognise the agency of communities? Ruchika Lall participated in the third wave of the DPU/ACHR/CAN Young Professionals Programme. During her time in the programme, she was embedded with Sevanatha Urban Resource Centre in Colombo, Sri Lanka. Ruchika is also an alumna of the DPU’s MSc Building and Urban Design in Development (BUDD) programme. Fiori, J., 2014. Informal City: Design as Political Engagement. In: T. Verebes, ed. Masterplanning the adaptive city: computational urbanism in the twenty first century. London: Routledge, pp. 40-47. Community Waste Banks exchange recyclable waste for incentives in cash or kind, to promote separation of waste and recycling at the household level.